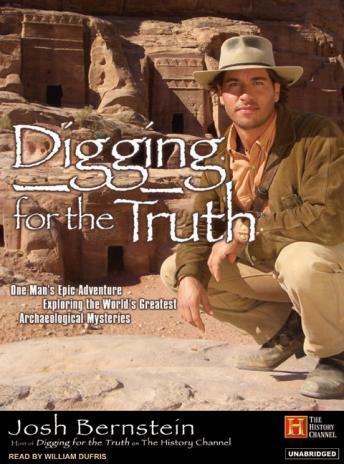 Josh Bernstein, host of The History Channel's hit series Digging for The Truth, takes readers beyond the cameras for an even closer look at his adventures through some of the most intriguing, remote, and physically challenging locations on the planet as he explores the world's greatest ancient mysteries. Discovers who built Egypt's pyramids and learns what secrets may be buried below the Sphinx. Follows the trail of the Lost Ark of the Covenant to the remote monasteries and churches of Ethiopia. Explores the journey of a potential Lost Tribe of Israel and examines DNA evidence that could make or break their claim. Visits the ancient site of Stonehenge, witnesses a Druid ceremony, and learns what purpose the stone circles may have served. Sails a Viking ship on a quest to determine if the Vikings landed in the New World five hundred years before Columbus. Lives with a remote and mostly naked tribe in the Amazon to search for hidden cities and learn the fate of one of the world's great explorers. Listeners will have access to all the inside details that viewers never see-everything from food poisoning and spider bites to the logistical challenges of shooting in some of the most remote places on earth.